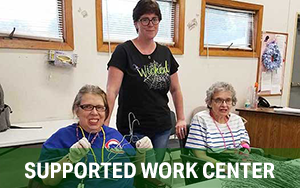 Sycamore Services provides assistance to local businesses through our Supported Work Center, Employment Placement Services, Transportation and our full-service Print Shop. When additional resources are needed, we’ve got solutions to help our local business partners. Manufacturing and distribution-focused businesses that struggle with being understaffed can turn to Sycamore Services for their outsourcing needs. We contract with businesses to take in projects that help them reduce recruitment, training and overtime costs. We provide businesses with a valuable, dependable labor pool that is always there when you need us. Our experienced staff gets the job done right. We help businesses increase productivity, without increasing personnel costs. 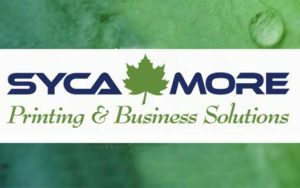 Sycamore Services is committed to providing each of our business partners with high quality service and competitive pricing. We serve a variety of clients and are committed to ensuring that projects are completed on time and within budget. If your business faces workforce challenges, let Sycamore Services be the solution. To learn more about Work Center capabilities, or for a competitive bid, contact Bill Kelsay at 317-745-4715 or wlkelsay@sycamoreservices.com. Sycamore Services Employment Services division works with a variety of businesses and industries in Indiana to fulfill staffing needs. 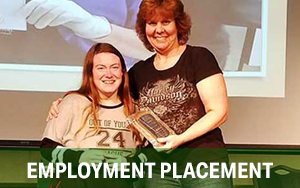 We are committed to alleviating job placement challenges for employers, while helping members of our community gain confidence and independence. Our experienced Employment Consultants provide a high level of service that ensures businesses are getting qualified, eager employees who are a good match for available positions. If your business is looking for great employees, contact Sycamore Services at 866-573-0817. To learn more, visit our Employment Services web page. Employers, and employees, in Hendricks and Morgan Counties can utilize safe and reliable transportation through Sycamore Services’ public transportation companies, LINK Hendricks County and Morgan County CONNECT. Van service can be scheduled Monday through Friday. Visit our Transportation web page for details on pricing and ride scheduling. Social Media management and more! We are open Monday through Friday, from 8:30 a.m. to 5 p.m., at 77 Park Place Blvd. in Avon, IN. Contact us by calling 317-745-5456 or email at sycamoreprinting@gmail.com. To learn more, visit our website. For inquiries about business resources, call Sycamore Services today at 317-745-4715 to find out how we can help you.